Oh boy! Make sure not to miss this years Harlan Haunt Fest that takes place in my neighboring county of Harlan, Kentucky. 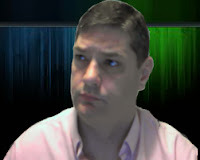 The event has gotten bigger and better each year and this year is no different. This years event has some very popular and famous authors, artist, and paranormal investigators. This year there is even a Chili cook off with Celebrity Chef Joe Arvin! Jeremy Ambler from Walking Dead, Russ McCubbin who has been in numerous movies and TV shows, Artist B.C. Hepner, Matthew Atchley the founder and lead artist of Hot Spot Studios, award winning artist Chuck Mullins, radio personality and author Ian Punnett, Paranormal investigator Joe Clark, Paranormal investigator Tony Felosi and several others. Chili Cook off, Horror & fantasy art contest, Historic Ghost walk, Mortal Kombat X Tournament, Fear Challenge, Cosplay and more! 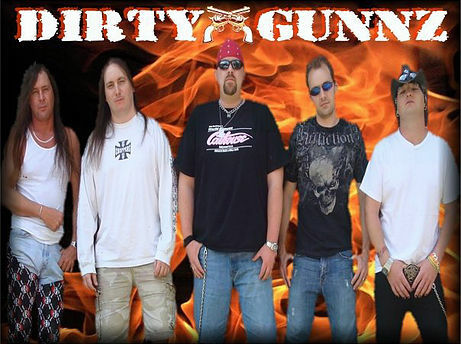 This years headlining music act is Dirty Gunnz! DIRTY GUNNZ, a melodic, hard rock band that specializes in 80’s glam/hair-band covers and originals..
On top of all of this there will also be vendors and various displays! It is sure to be a good time. This event takes place on October 15th, 2016 in Harlan County Kentucky. So, make plans to be there, who knows you might even see me there. You can find more information at the website and facebook pages. 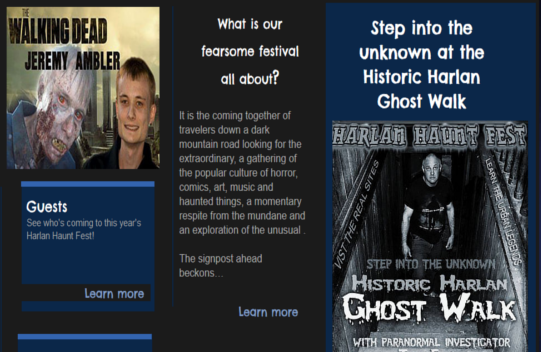 Website - Harlan Haunt Fest! This is a great local event that is gaining visitors from all over, and I hope you can attend. 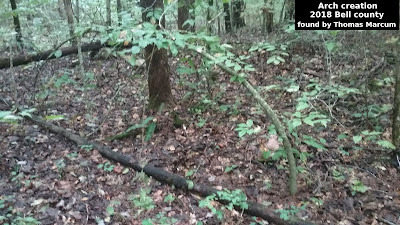 This area also has a lot of bigfoot sightings and reports and is a county in which I conduct bigfoot research. I have been invited to be a guest at this event several times, but for one reason or another I can't seem to do it. This year I may at least be able to go to the event and take in some of the sightings and events...I didn't want to commit to being a guest and then have to cancel due to something coming up. If all goes well, I might actually get to go this year, wish be luck, and hope to see you there.